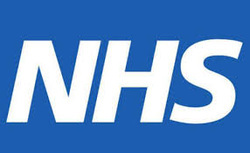 ‘NHS England’ is the public body that oversees the budget, planning, delivery and day-to-day operation of the national healthcare system in England. It is the governing body with which GPs and NHS dentists have contracts. "WHAT IS NHS CONTINUING CARE/CONTINUING HEALTHCARE?" ‘NHS Continuing Healthcare’ is the NHS funded package of care that is provided to individuals who are not in hospital, but require complex, ongoing healthcare services. Such ongoing healthcare services can be provided in the patient’s own home or in an established care home. "WHO IS ELIGIBLE FOR NHS CONTINUING HEALTHCARE?" Individuals who have a complex medical condition and substantial ongoing care needs could qualify for NHS Continuing Healthcare. GPs and social workers can arrange for an assessment to determine whether an individual would be eligible for NHS Continuing Healthcare.